ANROMI, Inc. d.b.a. Old Glory Freight is a logistics service provider acting as your SHIPMENT COORDINATOR, and therefore is not liable for the actual shipment(s). Responsibility for shipment (damage claims, undelivered goods, or any other problems with the shipment) lies solely with the carrier(s). All items covered under the carrier's limited liability coverage, using NMFC Item # 100240 Sub-01 (10 cents per pound) unless otherwise classified by the SHIPPER. The CARRIER(S) is subject to all state and federal laws and regulations applicable to the transportation of this shipment and is therefore exclusively liable for the shipment. The consignee/person who receives the shipment is responsible for documenting on the delivery bill any damage at the actual time of delivery. The weight, size (dimensions), actual services performed (residential or commercial pickup and/or delivery), class, and type of item being shipped, along with any additional services needed, is the basis of this shipping rate. If the final shipment and/or services differ from the amount shown, additional charges may apply, and will be charged to your account. 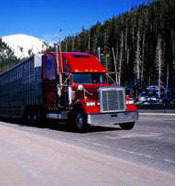 The shipper agrees to pay for the weight, dimension(s), and services performed that actually apply. Proper shipment addressing, preparation, and packaging are the responsibility of the shipper. In the event of a cancellation request, a refund will be provided minus a 15% processing fee. Cancellation is not guaranteed if the shipment has already been dispatched for pick-up at the time the cancellation request is made. The shipper is responsible for providing proper shipment form(s) at the point of origin/pick-up. Failure to do so may result in a twenty (20) dollar service charge. Full payment is due upon receipt of invoice, unless other arrangements have been made and documented in writing. ANROMI, Inc. reserves the right to use a collection agency to collect any unpaid balances. All costs associated with collection of unpaid balances including but not limited to legal fees and collection fees will be paid in full by the invoiced party. By accepting the services of ANROMI, Inc. d.b.a. Old Glory Freight, you also agree to accept the aforementioned terms and conditions.